If you suffer from eczema, you know just how frustrating it is not to be able to moisturize and pamper your skin when it is too dry. It’s important for eczema sufferers to have the best products in order to keep the skin soft and prevent irritation. In particular, it is important to have a good shampoo that is designed specifically for eczema sufferers. 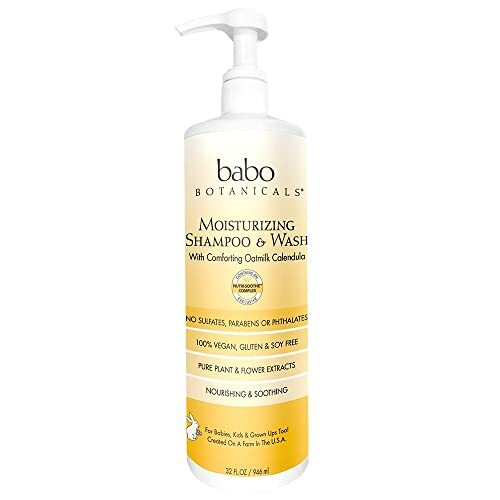 In this article, we will review the best shampoo for eczema, as well as provide you with important information to help with the shopping process. Simply defined, eczema is a condition that causes itchiness and inflammation of the skin. It can occur virtually anywhere on the body and it is very common. When you experience eczema on your scalp, the most prominent symptom will be dandruff in your hair. This irritation of the scalp is often accompanied by either a lack of oil production in the hair follicles or an over-production of oil, both of which can result in dry skin over time. Although eczema can be very frustrating, there are fortunately many strategies you can use to keep it under control. You should start by going to your doctor or even a dermatologist to learn more about this condition. There are many different causes of eczema, and your doctor can help you identify your causes and the environmental factors that make it worse. You may be genetically prone to eczema, or you may experience it as a result of another medical condition, your environment, or your stress levels, for example. It’s important to find a shampoo treatment that is designed for eczema. We will review many options later on in this article. A good eczema shampoo is very gentle and contains ingredients that are designed to soothe the skin and prevent flaking. It should not contain ingredients that can aggravate your skin. When shampooing, make sure to be very gentle with your scalp, as it is very sensitive. Aim for a slow and gentle massaging motion, and don’t leave the shampoo on for too long or use quantities that are too large. There are many different ingredients that are specifically designed to treat eczema. Some of the most common are tea tree oil, selenium sulfide, pyridine zinc, and salicylic acid. There are also many things you should avoid when purchasing an eczema shampoo. The biggest thing to avoid is alcohol. Many popular drugstore brand shampoos contain alcohol, which strips the skin of its natural oils and is very drying. This should be avoided at all costs if you have eczema, because it will be very irritating and uncomfortable for you. It is also important to avoid shampoos that contain other drying chemicals, such as sodium lauryl sulfate. This is a very strong anti-dandruff shampoo that is good for eczema sufferers that experience excessive flaking. It works very well because it contains one percent ketoconazole, which is present in many prescription creams and shampoos for eczema. You only need to use a small amount twice per week because it is a very thick product that kills the fungus that causes dandruff. This shampoo feels very nice and soothing on the scalp, and it has a very pleasant smell as well, so shampooing is an enjoyable process. It also works fairly quickly to eradicate flakes - after a few weeks, most users find that their flakes are virtually gone or at least under control. This is a very gentle shampoo that is designed for people who experience eczema as well as allergies and other skin issues. It does not contain many of the chemicals found in traditional drugstore shampoos. It has a mild feel that is gently moisturizing without being too thick. It also does not have a scent, which is ideal for those that are irritated by scented products. Shampoos that have strong scents often contain alcohol, which is very irritating for anyone who suffers from eczema. It gently removes any flakes without stripping the hair of any natural oils or color. However, many people find that it doesn’t lather very much, so they have to use large quantities to get their hair clean. If you want an organic option to treat your dandruff, this is an ideal choice. It contains three natural ingredients that are well known for being able to treat dandruff - tea tree oil, jojoba oil, and argan oil. All three ingredients are moisturizing without being too greasy, which is ideal for anyone who suffers from eczema. They gently remove flakes and then condition the scalp and hair so that the dandruff cannot easily come back. It also has a very pleasant smell and lathers nicely. 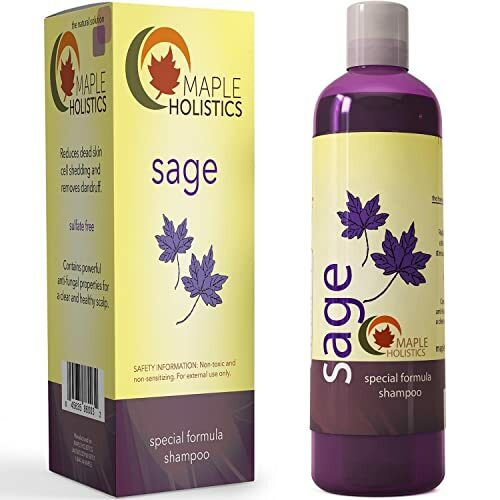 The biggest potential downside to be aware of is that this shampoo can make your hair feel a bit flat, so you may want to look for natural, non-irritating products to give it some body if you are concerned with this. Although this shampoo is designed for babies, it also works very well to soothe scalp eczema because of its gentle blend of ingredients. It is a plant-based product that does not contain chemical irritants, and it contains oatmilk and calendula oil, which are ideal for soothing any rashes or patches of rough skin. The formula also contains vitamins and anti-oxidants to balance your scalp and contribute to a healthy body overall. It has a light formula that makes the hair feel very soft and is easy to use. This product does have a very unique smell, which some people like and some people prefer to avoid. If you think you may be bothered by a deep, earthy smell, then this likely isn’t the product for you. The shampoo also doesn’t lather very much, so you may have to use larger quantities to get your hair clean than if you were using a typical shampoo. This is another baby shampoo that is very effective for those suffering from eczema. The formula contains grapefruit essential oils as well as botanical extracts, so it is very natural and gentle on your scalp. The formula is also pH balanced and does not contain harsh chemicals, so it helps prevent chronic dryness. You only need a small amount of the product to clean your scalp, so one bottle will last you a long time. It also has a light and pleasant scent that is very appealing. The only downside is that although the formula keeps the scalp moisturized, it may be drying to hair because it is not very thick. Although eczema is a very frustrating condition, there are many products that can help you keep it under control. By using one of the shampoos that we have mentioned here, you can managed the condition and help keep your scalp feeling clean and healthy.